Singer Island-Riviera Beach, FL (October 2017) – Spanning over seven acres on a pristine stretch of the Atlantic shoreline, Amrit Ocean Resort & Residences (Amrit) announced the launch of sales for arguably the most wellness immersive development currently under construction in the United States, starting with a private grand opening and official unveil of the experiential sales center on Thursday, October 26, followed by a weekend-long open house that took place on Saturday, October 28 and Sunday, October 28. 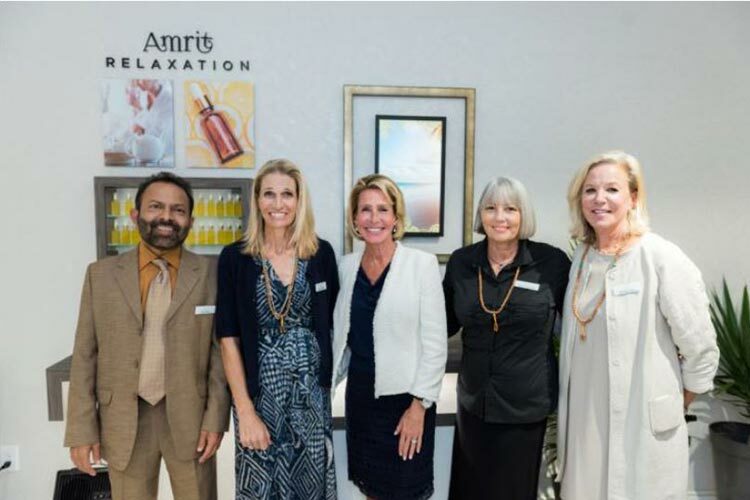 The true essence of the Amrit lifestyle was celebrated through activations, programming and refreshments conceptualized through the incorporation of The Five Pillars (nutrition, fitness, mindfulness, sleep and relaxation). A new paradigm of mindful living for those pursuing an unparalleled wellness lifestyle, upon completion, Amrit Ocean Resort & Residences will offer residents and resort guests personalized and virtual support experiences at a level unavailable in today’s global real estate and hospitality market. The level of wellness technology, the sheer number of industry experts, and built-in holistic materials are scheduled for completion in Spring/Summer 2019, with residential prices ranging from $700,000 to over $4 million. For more information on Amrit Ocean Resort & Residences, please visit, www.amritocean.com. Spanning over seven acres of the Atlantic shoreline in Palm Beach County’s picturesque Singer Island, Amrit Ocean Resort & Residences (Amrit) is a new paradigm of mindful living for those pursuing an unparalleled wellness lifestyle. Creative Choice Group (CCG) is a successful US-based investment and development company involved in the business of private real estate investment, development, nd management. Founded in 1984, CCG employs over 2,500 professionals and manages investments in a multitude of commercial and mixed-use real estate. Over the past 30 years, this private venture has acquired or developed over 40 properties, including over 7,000 rental units and in excess of 20 million square feet of residential leasing space, much of which continues to be managed by the Group.